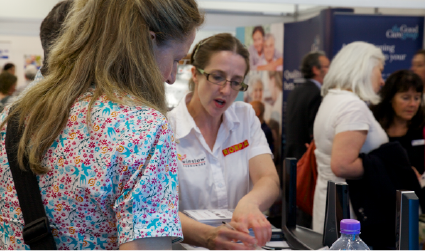 The Alzheimer’s Show is dedicated to bringing together the dementia community in a two-day London-based event for the general public and healthcare professionals, showcasing key products and services under one roof. This event is the UK’s leading conference and exhibition for those living with and caring for a person with dementia and has attracted thousands of public and professional visitors since launching in 2013. If you supply care products and services to help those affected by dementia, then this show is an unrivalled opportunity to meet a visitor audience of care professionals and family carers looking for the very best and latest products to help those living with dementia. 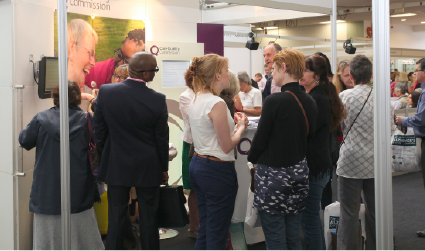 "Re:Cognition Health were delighted to take part in the Alzheimer's Show 2015, the only event in the UK which provides the complete spectrum of information about Alzheimer's... We were so impressed by the vibrant, optimistic atmosphere and the excellent range of presentations on all aspects of Alzheimer's." "The Alzheimer's Show is one of the best events I have attended... There was a wonderful feeling of enthusiasm and positivity - I have booked my space for next year!" “We didn’t stop talking to potential customers from 10am on the Friday when the Show opened until 4.30pm on Saturday when it was about to close. " 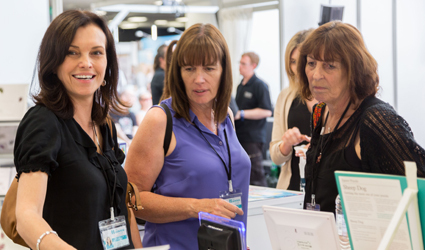 Nearly 2,400 public and professional visitors attended the London event in 2018 with more than 65% staying for longer than 4 hours. This dedicated visitor audience of carers, family and friends of those with dementia and a wide range of health and care professionals from the private and public sector are all looking for the very best and latest products and services. Stands are sold as pre-built shell scheme stands. Shell schemes are designed to make your exhibiting experience as simple and cost effective as possible. Stand includes name board, carpet, cleaning, lights, 20 free tickets, exhibitor listing in brochure and on website. Space only available by agreement with the organisers. Click here for more information.